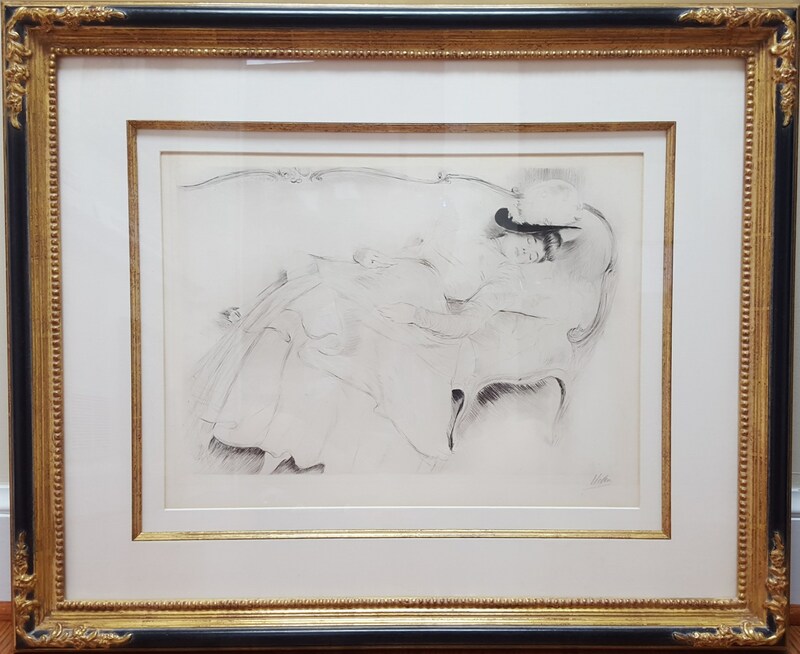 Title: "Dormeuse sur un Canape"
Paul Ce´sar Helleu worked as a painter and an engraver in France at the turn of the century. His work epitomises the charm and elegance of French culture at the time – the belle e´poque. He gained renown for his portraits of society ladies on commission, but a true graceful sensitivity arises out of his portraits of his wife, Alice. He met Alice Guerin when she was only fourteen, and obeyed her parents’ wishes to wait for her to turn 16 to get married and lived at home two years after that. Helleu was born in Vannes in 1859 and moved to Paris as a young man. He later became a pupil of Jean Leon Ge´rome at the E´cole Nationale des Beaux-Arts and became a lifelong friend of fellow student John Singer Sargent. Ge´rome was to buy his first painting. 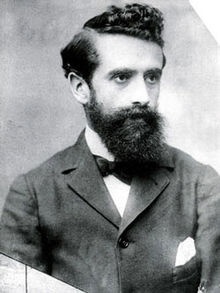 Artists including Monet, Rodin and Tissot also recognised his talent whilst he was studying in Paris (he was later formally accepted as part of the Impressionist group). 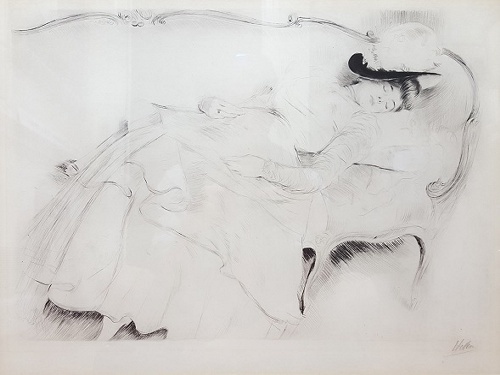 In fact, Tissot gave Helleu his own engraving tools because he was in such despair after the death of his beloved Kathleen Newton that he was unable to use them to make art. As a result, Helleu became an excellent drypoint engraver and one can see those skills for draughtsmanship and fine line work in this particular drawing. Helleu immortalised many beautiful women in paint and graphite because he became the darling of fashionable, aristocratic ladies at the time (including Coco Chanel). Perhaps what makes him all the more appealing to the modern viewer is that, despite this, he was not a cad; throughout their lives together, his favourite model was his wife.